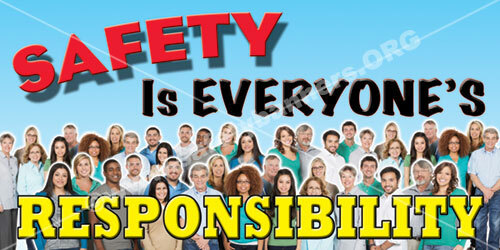 CLICK HERE for all our safety banners. 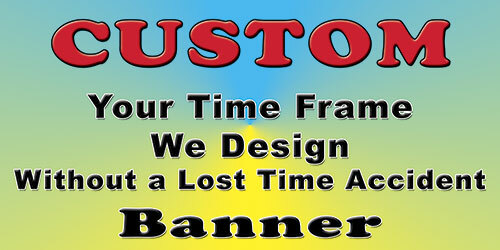 We have three basic options to fulfill your need for a "No Lost Time" Safety Banner. A - We can put one together totally from scratch based upon your direction and needs. B - We can use item #1191 as a starting point for your background and add your words. 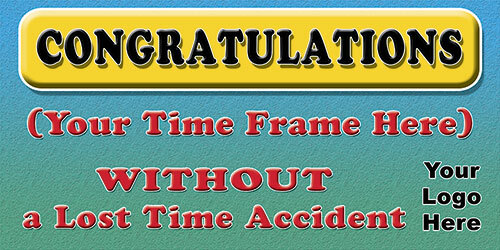 C - We can use item #1190 as your design and add your words. Call Cyndi at 901-759-0932, central time, or email her, button top center, with your questions. Thank you for your time and have a SAFE and SUPER Day . If you have ANY QUESTIONS, please call us - 901-759-0932 (Central Time). We are a Veteran Owned Business who's founder served in our military during the Vietnam War. We understand and appreciate the selfless sacrifice our military men and women, AND THEIR FAMILIES, have made, are now making and will make to keep you and I and our children, our country and our way of life safe. We are forever in your debt. Thank You.